This year’s second annual Rima Film Festival kicked off this Thursday, October 26th. 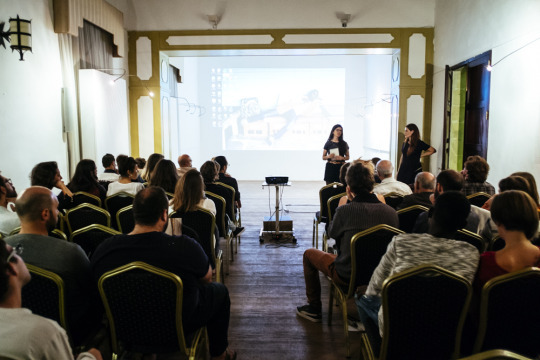 It is a two weekend long festival, starring a couple of films per night at two separate locations in Valletta: Palazzo Pereira- 224 Republic Street, and Malta Postal Museum- 135 Archbishop Street. The goal of the festival is to give an artistic, yet authentic and diverse portrayal of migration and exile. A variety of styles are used to portray these experiences, from documentary, to drama, to comedy, and even animation. At Palazzo Pereira, the first night’s film was documentary Les Sauteurs/Those Who Jump. I must say that their goal of reaching a greater level of authenticity and perspective was most definitely achieved through their methods. Basically, a video camera was given to Abou Bakar Sidibé, a refugee from Mali, for him to document his quest to reach Europe. The majority of the documentary takes place on Mount Gurugu, in Morocco, just outside of Melilla, a Spanish enclave. Here, Abou and hundreds of other hopeful refugees attempt to climb the border fence into the Spanish territory, only to be met with severe beatings and raids whereupon police burn all of their food and belongings back at their base camp. The firsthand shots of their daily lives, both light-hearted and tragic, mixed with the security footage from the fence, come together to create the realest thing I’ve ever seen. Something about just a guy with no film experience, no fancy production team, going about his journey. You can feel the sincerity, like he is one of your bros. It’s not Hollywood picture perfect. You see the good, the bad, and the ugly, on both sides; not overdramatized, but at face value, which is enough. There were moments where I laughed, several on the edge of tears, and now, I can assume, a lifetime of reflection. After the film, there was a brief discussion time, and then drinks and food below. The Migrant Women Association of Malta provided traditional food from countries such as Morocco and Syria at a very low reasonable price, which goes towards the empowerment of migrant women living in Malta. If this documentary is at all representative of the rest of the festival, I can highly recommend you stop by. Tickets are sold in person, or for a bit cheaper online by night or by entire weekend. There will be a closing party Saturday November 4th at 22:00 with DJ Shay Who at Palazzo Pereira.